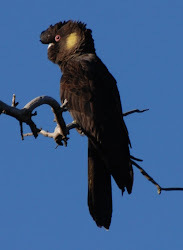 The Calyptorhynchus Blog: Population 3: What we can do in Australia? I’ve argued in previously posts, population, alongside global warming, is the most serious issue facing humanity. A species that uses 150% of available biological resources can hardly expect an untroubled existence. Although I have identified addressing population as the key to a sustainable future (accompanied by other strategies of course), I don’t doubt that it will be hugely difficult to persuade people to have fewer children. But as the alternative is mass starvation on a scale never seen before, probably accompanied by wars on a scale and destructiveness never seen before, it is something that has to be tried. Although the global population has grown hugely in the C20 it has slowed overall recently, and in some regions it has slowed faster. For example in Britain in the late C19, a generation before Marie Stopes and contraception, the birthrate began to fall. In my own family this is very noticeable: in genealogical records compiled by my relatives I have seen that in the 1850s couples were having up 8 children and by 1900 families of 2-3 were common, even amongst people who were very poor. This transition has been attributed to better nutrition, better hygiene, higher standards of living &c reducing the death rate and therefore making it more likely that fewer children would die (however, the infant mortality rate didn’t fall much until 1900 (see previous reference), and so it must have been just a more general confidence in the overall healthiness of society that was influencing people). This transition to a more prosperous, lower fertility society was expected for what used to be called the 3rd World in the later C20, but it didn’t eventuate. This is probably because prosperity didn’t actually arrive, instead neo-colonialism, with its imperative to secure raw materials and low-price commodities has continued to skew international trade. With only modest gains in the standard of living the birth-rate has not declined by much. However, the problem remaining is this, even with this prosperity-induced decline in the birth-rate (as under the UN’s ‘low scenario’, see first reference), the decline still wouldn’t be enough. For example, the UK is still obviously overpopulated, and if it didn’t have handouts in the form of underpriced raw materials and commodities from the developing world, would struggle to feed, clothe and shelter its population, never mind having a high standard of living. I have to say that I don’t know what the answer to this is globally, although, as I said in a previous post, no efforts should be spared to try to reduce global inequalities, and remove the distortions of the current global economic system. However, what I do think is that first stage in facing any problem is to admit the problem and lay it out, and here I think Australia has a role to play globally. Actually we have had it wrong, locally and globally. We thought we could go on expanding population and production for ever, but clearly this is not the case. My Government today commits to a target for a sustainable population for Australia below current levels, and policies to lower Australia’s birth-rate and additions from immigration in order to attain that sustainable population. These policies are not designed to take away anyone’s right to have children, or to enjoy prosperity, and they are not designed to hurt the prosperity of any other part of the world. Instead they are designed to allow Australia to sustain its people into the future and to act as an example for other countries to follow, if they too wish to have a future. Of course this wouldn’t be the current Prime Minister, nor sadly anyone from the Greens, who have yet to formulate a population policy. * Still less would it be likely to anyone from the conservative side of politics (conservatism conserves nothing). However I do believe that such a speech and such a program of policies would have a global impact far beyond Australia’s actual importance, and would in fact be a defining moment in human history, like Darwin’s formulation of evolution. If, as according the chart on pages 36-39 of the WWF Living Planet Report, Australia is currently using the equivalent of 6.8 hectares of biological production per capita, when 1.8 are available long-term, then we can say that one figure for a sustainable population for Australia is the 2007 population (21.1 million) divided by 3.8 (6.8  1.8) = 5.6 million. This may be a bit brutal because, of course, Australia is 5% of the land area of the planet, though this 5% isn’t the most fertile. However it does give us an idea that the sustainable long-term population of Australia is something well below present levels (and certainly not the ‘Big Australia’ of 35 million + people beloved of business). By the later C20 Australia had a declining birth-rate, but still a high one compared to European countries (like the birth-rate in the US; there must be something about societies that delude themselves into thinking they are still a frontier that encourages this), and certainly the Australian birth-rate was one above replacement level. In the early C21 a foolish Liberal Party politician grew alarmed at the decline and increased the ‘Baby-Bonus’, shortly after an increase in the birth-rate followed. I like to think that, as some have argued, this was merely a cohort effect of a generation of women from the end of the Baby-Boom (late 1960s) having their children late. However the first priority for any population policy for Australia should be remove the baby-bonus entirely. The next should be to restrict Child Support payments to a simple payment for one child (ie if you have one child you get financial support, if you have any more children the payments stay the same). Obviously this should be for new births, not taking away existing benefits. Both these measures would be painted as taking money away from people. But how could this be right? It’s simply a case of no longer paying people, not taking away what they already have. This would send a powerful signal across society that having children is now personal decision that will be more costly than in the past. The next thing should be pay people to take contraceptive measures. Presently we pay people to have children, so in the future we should pay people not to have children. Women over 16, for example, could be paid to have 3-year contraceptive implants if they chose to have them. Older men and women could be given a permanent, lifetime tax cut to have a vasectomy or a tubal ligation. Vast efforts should also be expended to inform people about contraception and Australia should basically be awash with contraceptives. None of this, of course, is coercive. People could still have children, it would just be it would be much more expensive. There is a danger that this program could be seen as class-discriminatory, insofar as poorer people are more likely to be more poorly educated, have less information and be more likely have unplanned pregnancies. Obviously these policies would need to be designed to try to minimise these dangers. Immigration usually looms large in discussions of population in Australia, usually illegitimately. There is an argument to say that immigration should be totally unrestricted. This is, realistically, less likely to happen than anything I have described in this blog, humans being the us-and-them types they are. In any case, although this would be just theoretically, in reality it would take the world further away from the realisation of the need to address population—people would still be deluded about the possibility of endless prosperity from a growing population, that there were still places to escape to. A glance at Table 2.3, Settler Arrivals by Region of Birth, in the Department of Immigration and Citizenship’s Immigration Update 2009-10 shows that in the composition of the settler intake to Australia for that financial year there were approximately 20,000 Europeans, but also approximately 20,000 people from South Asia, 20,000 from Southeast Asia and 20,000 from Northeast Asia. This is the sort of figure that perturbs certain people, but it doesn’t perturb me. We can note that owing to the language requirements for Australian immigration all settlers will have at least passable English, and this means that settlers who arrive from South Asia, Southeast Asia and Northeast Asia are likely to belong already to the English-speaking global aspirationalist culture (‘must have bigger house, now!’). In fact speaking personally I don’t care what culture prevails in Australia in the short or medium term. If someone told me that by 2100 the official language of Australia was going to be Chinese, Arabic or Indonesian, I wouldn’t lose a moment’s sleep over this. All cultures change over time, and in a sufficiently long perspective (my 30,000 generations), the only culture is ‘human’. The only things that matters is how many people there are in Australia, not what culture they belong to. But to return to immediate concerns we should note that while there were nearly 209,000 settlers in 2009-10, 87,000 people also left, leaving net permanent additions around 122,000. By contrast ABS Births Australia 2009, shows that in 2009 (calendar year) there were 295,700 births in Australia. So clearly, although immigration should be restricted in the cause of attaining a sustainable population, getting the birth-rate down is a greater priority. *I may be wrong about this, party politics annoy me intensely and I try to come in to contact with them as little as possible. There is also a Stable Population Party in Australia, but, as will be clear from what I have written, I believe that its goal is too modest. Next week: Impediments to progress to sustainability.